Before I start let me tell you something: I was never EVER into sports. In fact, I’m so uncoordinated and coward I decided a long time ago team sports were not my thing. And there it is where this running thing came in. You don’t need any material, I can’t hurt myself doing it, and most importantly, nobody can hurt me while doing it –can you tell how much of a chicken I am? I mean yes, you can go with a pal, but honestly I don’t understand how people can talk and run at the same time while all I can think about while I’m running is please don’t stop breathing. I will start with the feet, which I thought was the less important thing but there again I was wrong. My feet used to hurt a lot after a quick race, so I decided to buy a new pair of trainers, which appeared to be my best purchase ever. I have the Adidas Duramo 5 (I can’t find this model but there is a new one), that are so comfortable I could walk in them all day all night. Also don’t forget about socks, I always use the ones from Primark that are design for exercise and make all the difference. As for clothes, I recently bought a bra in H&M on sale (yay me!) that adjusts perfectly and keeps the girls in place. I don’t have a special pair of trousers to run; I just use some black leggings. The ones in the pic are from H&M –again- and they were a bargain compared to others. If as me, you like to run at night, don’t forget to wear something visible for the others. I have this neon jacket I bought long ago in Lefties that keeps me warm and able to be seen. Really, when I wear this jacket people always look at me. To hold my phone I use an armband my brother gave me, but I know Primark has released some nice band bags. Remember is always a good time to start running! 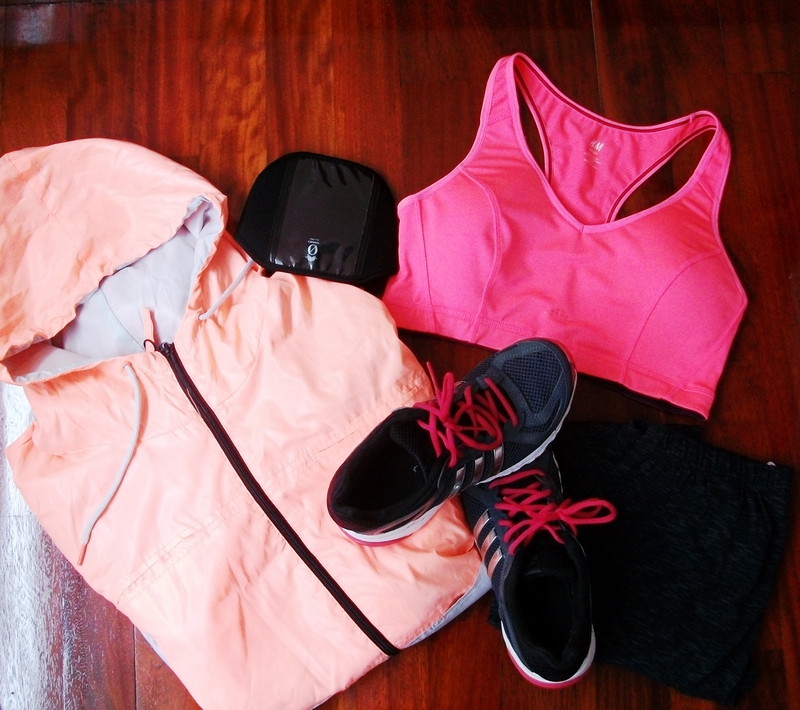 If five years ago someone had told me I was going to be into running I would have laugh at them and think they were crazy and yet, here I am, telling you about my running staples..